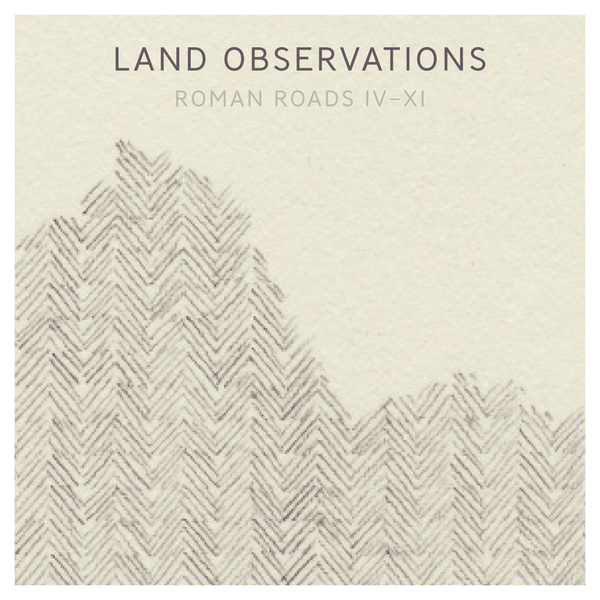 Land Observations is the solo project of James Brooks (formerly of Appliance), here exploring the kind of gorgeous windswept instrumentals last heard on records by State River Widening and Corker Conboy. The project sees Brooks layer electric VI string guitar to create warm, evocative instrumentals. Although Brooks spent considerable time researching Roman Roads - with each of the compositions responding to the psychogeography of an individual road - this isn't just an historical project, or an attempt to look only into the past. There is an obvious fascination with Roman Roads as man made structures, with their bold lines carving through the landscape, creating an album that's a reflection on the broader ideas of travel, momentum and progress.